Looking for a Used Z4 in your area? CarGurus has 1,529 nationwide Z4 listings starting at $3,500. Looking forward to warm, sunny summer days brings on a yearning for a sporty yet luxury-laden convertible. Well, this spring might be a good time to check out the 2015 BMW Z4. This spiffy midsize 2-seater returns with its distinctive power-retractable composite convertible top, a choice of 3 engine-specific trims, a boatload of posh and an available premium audio system that’ll turn all those heads that haven’t already been turned by this nifty drop-top’s looks. Trim-wise, look for the entry-level Z4 sDrive28i, the midlevel Z4 sDrive35i and the flagship Z4 sDrive35is to once again encompass the 2015 lineup. New stuff for this year, meanwhile, includes what Beemer calls its Pure Fusion Design, which translates to a hefty upgrade in cabin materials and fabrics, including unique Ivory White leather upholstery with contrasting brown stitching and a dashboard encased in Saddle Brown Nappa leather. Black Nappa leather sunshades are a further upgrade, as are distinctive new genuine wood trim inserts on the center console. Oh, and a new and unique Sparkling Brown exterior metallic paint color also joins last year’s more traditional shades. Of course, all Z4 trims come in standard rear-wheel-drive (RWD) configuration, with no all-wheel-drive availability planned for the near future, and the convertible roof’s stowage compartment once again limits this brash Beemer’s trunk space to a cramped 8 cubic feet. The engine choices that might quench that summertime yearning for the 2015 versions of this heady roadster include the base 240-hp 2.0-liter turbocharged inline 4-cylinder (I4) powerplant that’s delivered in the sDrive28i. Either the standard 6-speed manual transmission or, available at no extra cost, an 8-speed shiftable automatic transmission allows 260 lb-ft of torque from this blown 4-banger, with the 8-speed automatic including steering-wheel-mounted paddle shifters. Expect a 0-60 time of 5.8 seconds out of the base engine, with mileage estimated at 22 mpg city/34 highway banging the stick shift or 22/33 with the shiftable automatic. Moving the oomph bar a tad higher, the sDrive35i packs a 3.0-liter turbocharged V6 engine that again comes standard with the 6-speed manual transmission, or can be dropped off with an available, and again no-cost, 7-speed DCT auto-manual transmission. Look for 300 hp and 300 lb-ft of torque from this peppy turbo V6, good enough for a 0-60 time of 5.2 seconds. EPA estimates, meantime, run 19/26 with the 6-speed manual and 17/24 with the 7-speed auto-manual shifter. Still itching for more power? 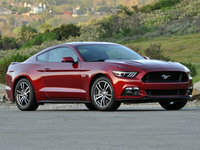 The top-shelf sDrive35is adds some extra ponies to the above-described 3-liter turbocharged V6 for a total of 335 hp. The 7-speed DCT auto-manual transmission is the only shifter available with this blown V6 and remains managing 332 lb-ft of torque, while this up-powered drop-top sprints from 0-60 in an impressive 5 seconds flat, with mileage figures again running 17/24. Depending on the trim selected, this classy German-made convertible should grace the summer roads with 17- or 18-inch alloy wheels, leatherette or genuine leather upholstery, power-adjustable front seats and heated, reverse-tilt power-adjustable outside mirrors, not to mention standard cruise control and telescoping tilt-wheel steering. Once again Bluetooth-integrated BMW Assist TeleService is delivered with all 2015 Z4 trims, as are dual-zone climate control, a remote garage door opener and memory for driver's settings. The aforementioned Pure Fusion Design complements traditional alloy cabin accents, while an MP3-capable single-CD player and USB port handle entertainment chores. Further standard bling for the sDrive35is that returns from last year are the standard sport front seats. Options in the 2015 Z4 trim stable should remain the M Sport Package with performance tires and the sportier M suspension setup, as well as a Premium Sound Package boasting satellite radio and premium speakers. Again the popular BMW Apps technology is available to give folks a smartphone interface, while a hard-drive-based navigation system is slated to return as well. Heated front seats and a heated steering wheel, not to mention front and rear parking sensors, wheel upgrades, automatic high/low-beam headlights and contrasting hard convertible top colors are also scheduled to rejoin the list of available equipment, either as part of various packages or as standalone features. Finally, standard safety equipment endowing all 2015 Z4 iterations is expected to once more include 4-wheel antilock brakes (ABS), traction and stability control, and side-mounted airbags with head-protection chambers. Self-leveling high-intensity-discharge (HID) headlights, LED running lights and BMW Assist emergency alerts and communications also should return as standard safety equipment for 2015, along with a reprise of the post-collision safety system and remote antitheft alarm. 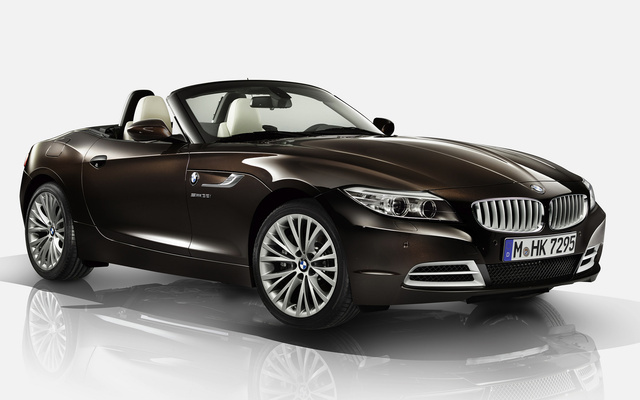 What's your take on the 2015 BMW Z4? 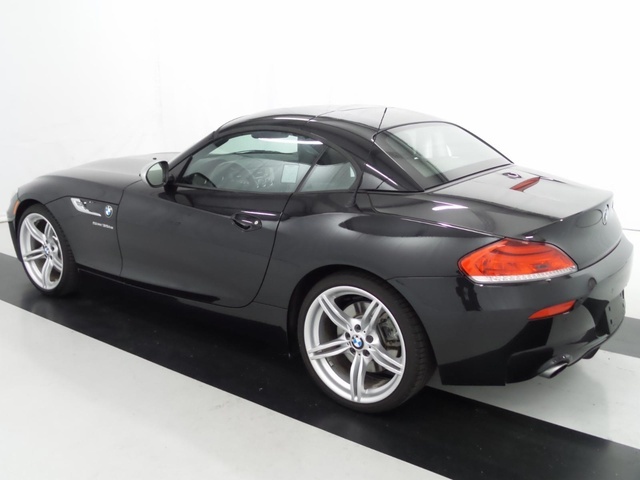 Have you driven a 2015 BMW Z4? Can I Post My Car On This Website If I'm Not A Dealer?